Wire fences booby-trapped with beehives are being built in five African countries to prevent elephants from raiding farms, while also providing local people with honey. This also saves elephants from being killed by farmers that would destroy their crops. ‘Beehive fences’ are now being put up in Botswana, Mozambique, Tanzania and Uganda by UK charity Save the Elephant, says Lucy King, leader of the Elephants and Bees Project in Kenya — and they are already in use at three communities in Kenya. The project, which is a collaboration between Save the Elephants, the University of Oxford in the United Kingdom and the Disney Worldwide Conservation Fund, studies how to use the African bush elephants’ instinctive avoidance of African honey bees to avoid crop losses. Conflicts between farmers and elephants are a growing problem, with the animals’ encroachment onto farms causing massive crop losses. Simple beehive fences using local materials. Bee Hives are hung every 30 feet and linked together and if an elephant touches one of the hives or the interconnecting wires, the beehives all along the fence swing and release the stinging insects. A study, which was published in 2011 in the African Journal of Ecology, elephants made 14 attempts to enter farmland and 13 of these were unsuccessful. In each case the elephants were forced to turn away from the area after confronting a beehive fence or walk the length of the fence to choose an easier entry point through a thorn bush. Only once did elephants break through a beehive fence to eat crops, according to the paper. 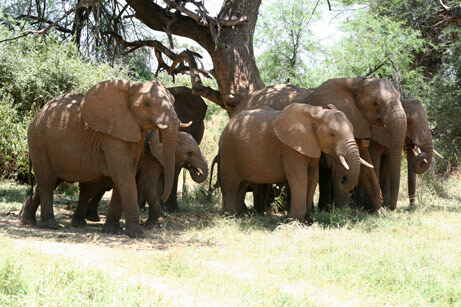 Electric fences have proved successful in barring elephants from some human designated areas, says the study. In Kenya, electrification projects often fail because of poor maintenance, spiralling costs and the lack of buying capacity among the communities where the elephants are common. 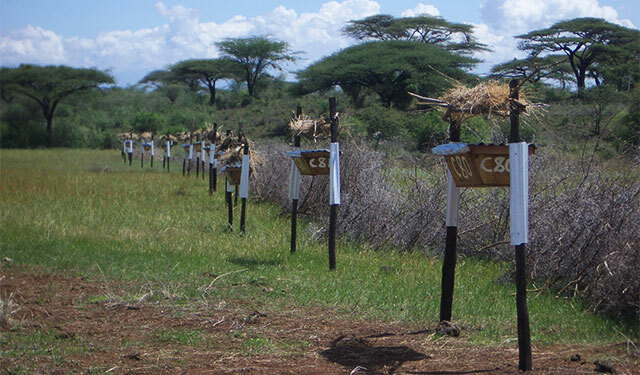 According to Paul Udoto, corporate communications manager at the Kenya Wildlife Service, the use of beehive fences to prevent elephants from raiding farms is not a silver bullet, but it could be used alongside these other interventions. He adds that human-animal conflict is largely due to people moving onto land used by animals. “Where elephants and agricultural land overlap, incidents of human–animal conﬂict are on the increase,” Udoto tells SciDev.Net.